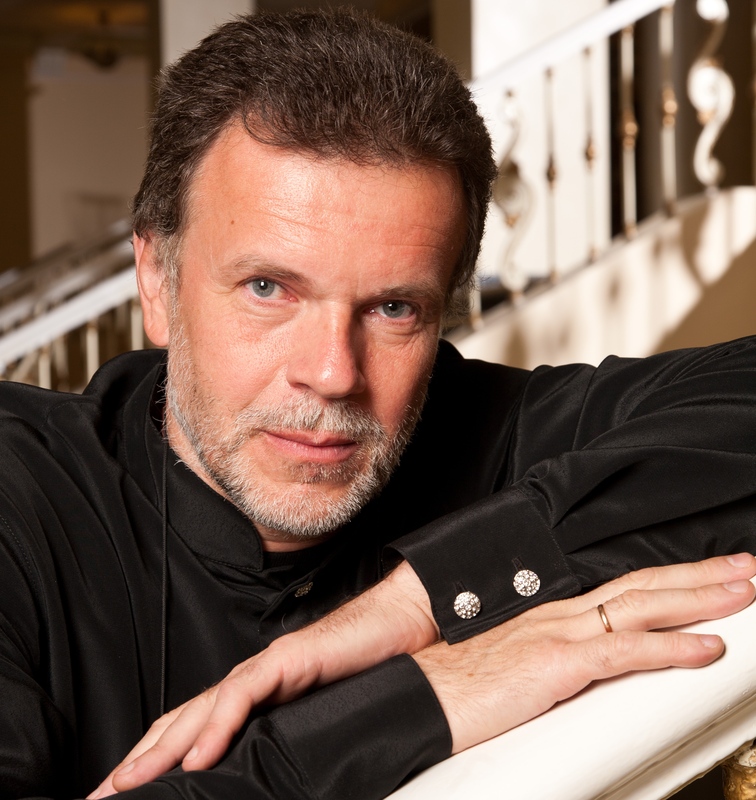 In the early 90s, Aleksey Utkin still continuing his work with the «Moscow Virtuosi Chamber Orchestra», successfully attempted to start his independent career, that in 2000 led to the creation of the ensemble «Hermitage», together with which he played numerous concerts and recorded 10 CDs with various programs, made by Caro Mitis. In 2010 Aleksey Utkin was made the Creative Director and Chief Conductor of the State Academic Chamber Orchestra of Russia. The best musicians of the ensemble «Hermitage» became members of the SACO of Russia. Preserving the traditions of the orchestra, established by its founder Rudolf Barshai, Utkin sees himself not only as a creative director and a conductor, but also as a soloist and an inspiring leader. Aleksey Utkin combines his work in the State Academic Chamber Orchestra of Russia with an active teaching practice. He is a professor at the Tchaikovsky Moscow Conservatory. His work as the new leader of this orchestra began with widening the stylistic and genre range of the compositions performed by the musicians. In their concerts the orchestra combines Bach’s Passions, Masses by Haydn and Vivaldi, symphonies and concertos by Mozart and Boccherini, compositions on themes of the rock-band Led Zeppelin, music in ethno-styles, and movies’ soundtracks. Aleksey Utkin continues to make famous music arrangements for the oboe. Among his works are the very successful T. Albinoni’s Adagio for oboe and orchestra and M. Bruch’s Kol Nidrei. New ideas and creative searches by Aleksey Utkin have been reflected in the series of concerts during recent years such as: „East West Fantasy» which features the music of H. Purcell, Mahavishnu, Clark, McKadnles for chamber orchestra, electric guitar, bass guitar, indian reed flute, and drums; in working with a young composer Andrey Rubtsov, which led to the creation of the «Festival Divertimento-Fairy Tail» in 10 parts for chamber orchestra, children choir, electric guitar, and drums. His friendship with an actor Alexander Philippenko led to an impulse to make a program «Reflection in the water» (Concert for dramatic actor, soloist and chamber orchestra), based on «Krohotki» by Alexandr Solzhenitsyn and Preludes by Dmitrii Shostakovich. In the season 2016-2017 Aleksei Utkin is creating new concert programs, where different epochs, styles, and tendencies are boldly combined. One of them is „From Baroque to jazz-rock“, performed during the last season in Moscow. During recent years, Aleksei Utkin has performed concerts in different corners of Russia – from Kaliningrad to Vladivostok. Currently, Aleksei Utkin continues his work on concert programs for the seasons to come.